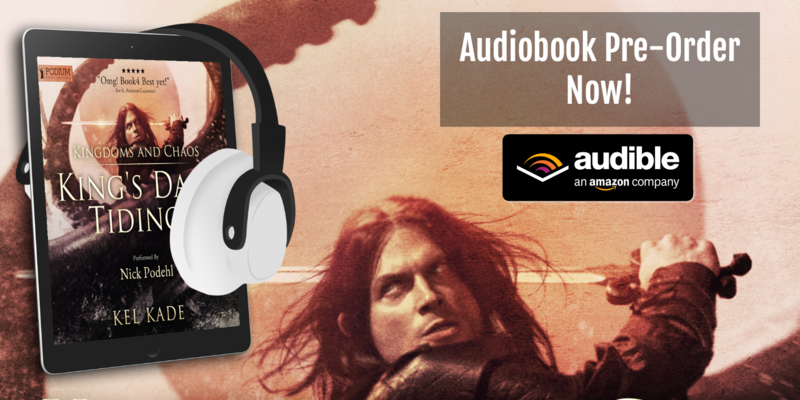 The “Kingdoms and Chaos” (KDT4) audiobook is available for pre-order now! Experience the adventure as performed by the award-winning Nick Podehl. Releases November 20th! (Ebook available on Amazon now.) Click here to sign up for my newsletter! I’m to busy now a days to be reading, but I have plenty of time in car to listen. Hopefully, tomorrow will be a good drive. Thanks Kel for all the good books. Keep em coming. Gig em. Looking forward to the audiobook! Is there a reason kdt 4 can’t be preordered on audible Canada? Please tell us you’ve started KDT 5 !